Meet Rt. Hon. 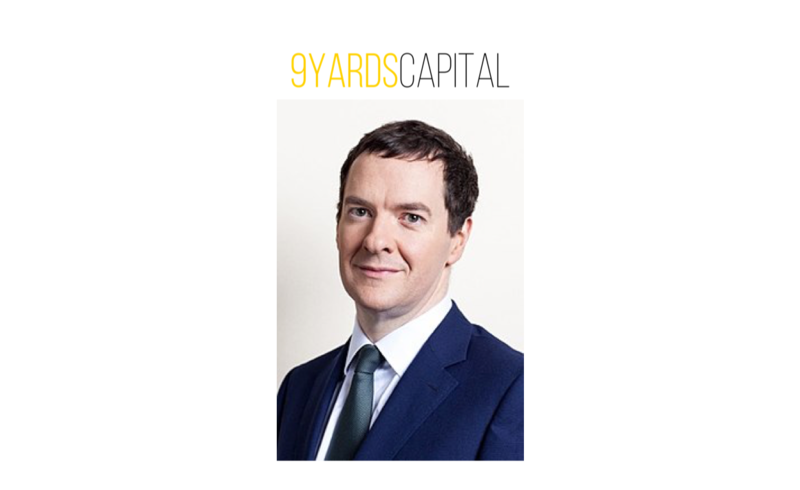 George Osborne and hear his thoughts on the UK’s current economic climate, the role of technology in regulation and his experience as a VC. George Osborne is Editor of the London Evening Standard and chair of the Northern Powerhouse Partnership. He served as Chancellor of the Exchequer from May 2010 until July 2016. He was also First Secretary of State from May 2015 until July 2016. He was elected the Conservative MP for Tatton, Cheshire in June 2001. With thanks to Theo Osborne and and David Fisher Managing Partners of 9Yards Capital for sponsoring this event. 9Yards Capital is a multi-stage venture capital firm, investing in ambitious entrepreneurs, building global companies within Financial Services. They have deep experience in Finance, Venture Capital and Government. They provide patient and strategic capital with access to an unparalleled network of industry leaders around the world. Registered guests are welcome to join GBx members for this event.